Delia Cruz is an accountant responsible for month-to-month, company-wide financial reporting at EPS; she works closely with the Executive /Managing Principal Committee and the company’s CPA on firm planning exercises, special issues, financial updates and changes as necessary. Delia oversees and handles daily activities of Accounts Receivable, Accounts Payable, Billings, Payroll, etc. She worked with domestic and international manufacturing firms for several years before joining EPS in 2001. 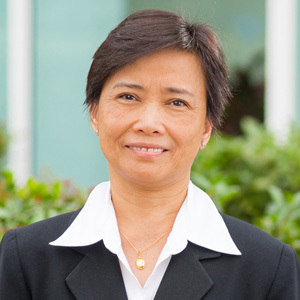 Delia graduated with a Bachelor of Science degree in Commerce, and majored in Accounting from Golden Gate Colleges, Philippines. She has Accounting Specialist I and II certificates from the City of Milpitas, California.